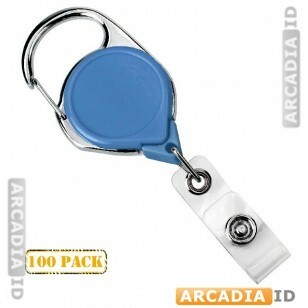 Buy your badge reels in bulk to take advantage of excellent savings. These are 100 packs of blue carabiner badge reels with an included belt clip for multiple methods of securing your photo badges. For more varieties of belt clip in varying quantities, explore the site! You can depend on ArcadiaID for the top value and quality.